When you go to buy a new home, a title company will search these records to make sure that the chain of ownership for the property is clear and that it can be sold without issue. If there are any problems, such as those liens or levies, the title company will work to resolve them before the deal can be brought to closing. Yet, even the most experienced title professionals can miss things or make mistakes. If that’s the case with your transaction, a title insurance policy can help protect your claim to ownership of the home and can shield you financially from having to bear the burden of any discrepancies that may arise. Standard title insurance policies protect against forgery or impersonation, a mistake on the part of the person doing the title search, an undisclosed mortgage or lien, an undisclosed easement or use restriction, an inadequate survey description, and deeds not previously recorded. An extended policy might also cover issues such as off-record claims of adverse possession, off-record liens, an incorrect survey, or pre-existing violations of subdivision laws or zoning ordinances. If anyone ever tries to take you to court to stake one of these claims, your title insurance policy is there to certify that you bought the house with a clear record of title in place. It will also cover any legal fees that you incur during the process of defending your right to ownership. If you’re getting a mortgage, your transaction will likely have two title insurance policies attached to it. (Though, who is responsible for buying each policy can vary by state.) One policy is for you, the owner, and the other policy will be given to your lender. The lender’s policy is based on the dollar amount of the loan and is usually required by the mortgage company in order to close on the home. As the name suggests, it protects the lender from having to assume financial responsibility if any issues arise down the road with the title on the home. It does not protect the homeowner in any way. In contrast, owner’s policies are usually optional. If elected, they’re paid via a one-time fee at closing that’s built into the rest of your closing costs. However, it covers you for as long as you retain an interest in the property. The owner’s policy is what protects you and your personal assets in case any problems occur in the future. Though title insurance is optional as a homeowner, it’s a good idea to consider buying this policy a necessary part of owning a home. It’s really a matter of being safe rather than sorry. 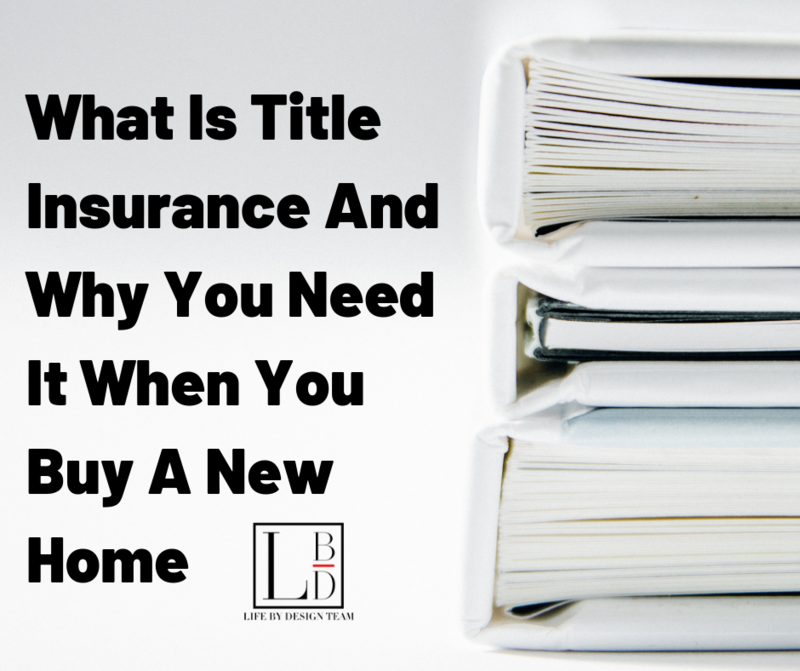 Though complications with the title on a home are relatively rare, they do happen and they can be costly. Rather than taking the risk of assuming that none of the incidences listed above will happen to you in the future, it’s better to be covered. A home is one of the biggest assets that you will ever own. Protect yourself and your financials by factoring the cost of title insurance in with the rest of closing costs.